PICKERINGTON, Ohio — The American Motorcyclist Association has announced the dates for the 2019 International Six Days Enduro Qualifier Series events, which will be used to determine which amateur off-road racers will represent the United States at the 94th FIM International Six Days Enduro in Portimao, Portugal, Nov. 11-16. The 2019 AMA East Region ISDE Qualifier Series and the 2019 AMA West Region ISDE Qualifier Series will each consist of three two-day rounds, beginning in February and ending in May. Riders receive an overall score for each day of competition and will be ranked by their four highest scores at the end of each series. The selected riders will be organized into five three-member U.S. Club teams, which will include the overall top seven riders from each of the two qualifier series, as well as the top 40-plus rider from each qualifier series. An additional U.S. Club Team will include three riders selected by the AMA ISDE Advisory Committee, which also selects the U.S. ISDE Trophy teams. The 2019 AMA regional qualifier series feature three new event organizers. 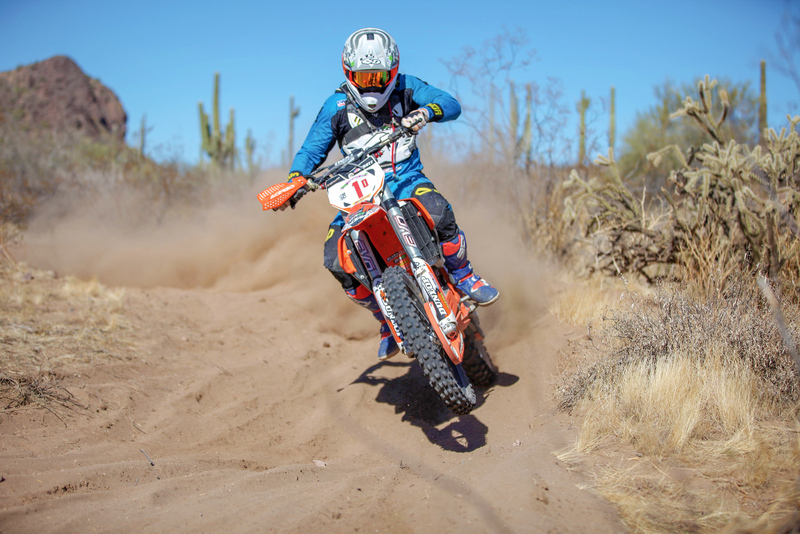 AMA District 37’s new Sprint Enduro Series will host a West Qualifier round at the Lost Coyotes MC. The third West Qualifier round will be put on by the Sprint Hero Enduro Series in Mesquite, Nev. In the East Qualifier Series, the Southern Enduro Riders Association will host a round at the Meridian Motorcycle Association facility in Mississippi. The Full Gas Sprint Enduro Series, Michigan Sprint Enduro Series and JSM Adventures return as event organizers in 2019. For more information, call (614) 856-1900, ext. 1245, or see www.americanmotorcyclist.com/Racing/Story/international-six-days-enduro.